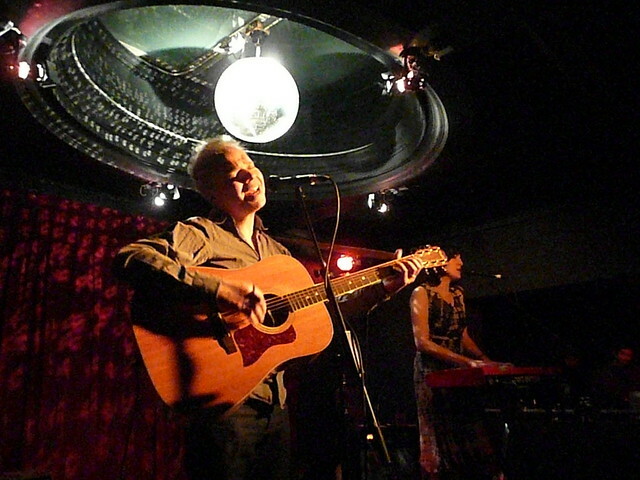 Hazel and I headed out to the lovely Luminaire last night to catch Damon & Naomi play a very sweet and nicely well attended show in London. We missed the first support but caught the whole of The Left Outsides playing another enjoyable set. We oddly managed to find a very good spot right at the front of the stage after The Left Outsides had finished. It seems that Naomi hadn't brought over her bass so played the whole set on her Nord Electro 2. They played a great set mixed from old (In The Sun, Memories, New York City), new (Lilac Land, Stars Never Fade, Cruel Queen) and one unreleased track - a cover of the Scott Walker track "The World's Strongest Man" which they've recorded for a new Scott Walker tribute record (about which I haven't managed to track down any information as yet). Damon was, as usual, on good form with a hilariously bizarre story about his afternoon visit to The Freud Museum. It was nice to be able to enjoy Damon's rambles without having to worry about them eating into a short (supporting) set. 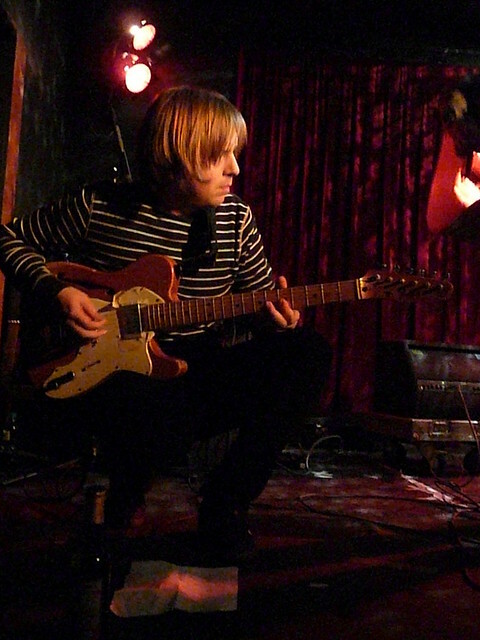 Alasdair MacLean of The Clientele, added his very distinctive guitar to set closer Cruel Queen (and made me regret the laziness that kept me at home when they played the same venue last week). For the encore Damon & Naomi pulled out a track from More Sad Hits, which only seemed fair given the amount of very good press the re-release has had over here (that I'm sure contributed to the size of the crowd), they chose "Memories" and followed it with "In The Sun" (with Naomi singing, so more Playback Singers than Pierre Etoile version). And then it was over. I chatted very briefly to Naomi after the show, she introduced me to Phil McMullen (former editor of Ptolemaic Terrascope), a more social person than I would have made more of a treat like that but I just shook hands and smiled inanely, and then we bolted for the train home.